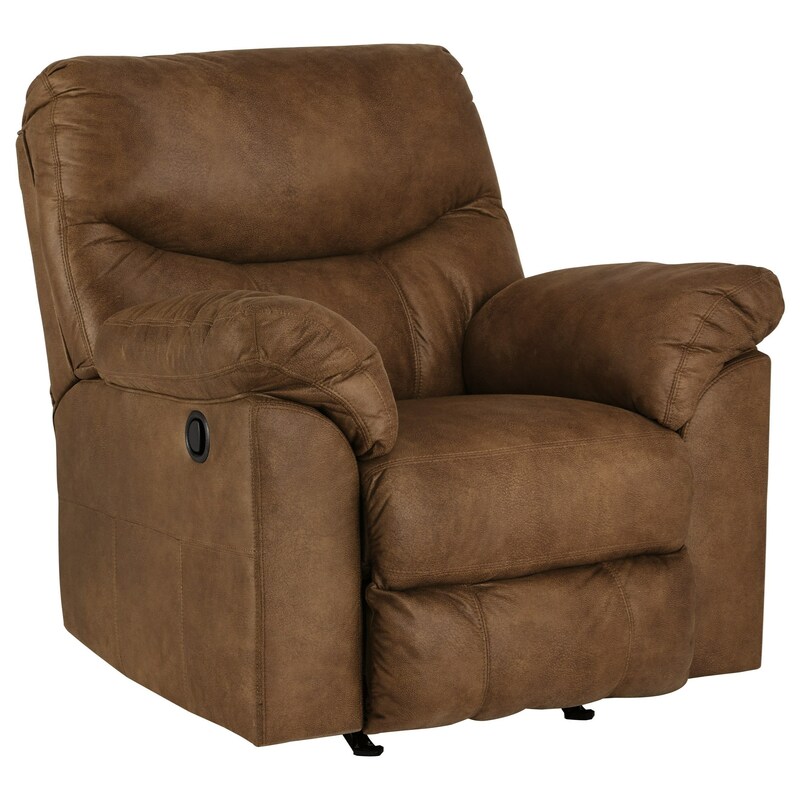 With its double stuffed pillow arms and plush cushions, this casual recliner is generously soft. A rocker base and three-way reclining mechanism offer additional levels of comfort, while the scooped stitching and channel tufted back give this piece a subtle contemporary flair to make it look great in any living room space. The Boxberg Casual Rocker Recliner with Pillow Arms by Signature Design by Ashley at Michael's Furniture Warehouse in the San Fernando & Los Angeles area. Product availability may vary. Contact us for the most current availability on this product.